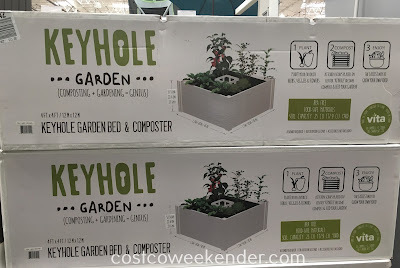 If you love to garden and/or are into recycling and caring for the environment, then check out the New England Arbors Keyhole Garden & Composter. The New England Arbors Keyhole Garden & Composter will allow you to grow your own vegetables, plants, flowers, herbs by reusing some of your food scraps. Just mix some of your kitchen scraps (coffee grinds, tea leaves, fruit peels, egg shells, vegetable stalks, etc.) 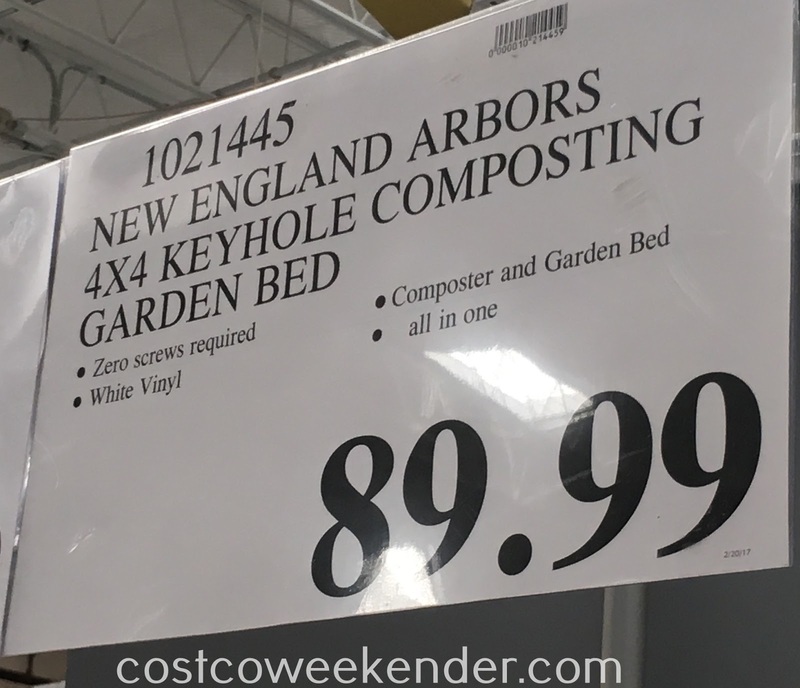 with some dry leaves and add it to the New England Arbors Keyhole Composting Garden Bed. This is a lot easier than having a compost bin since your compost goes directly into your garden. The composted material will slowly turn into humus which is great for the soil providing your plants with extra vitamins and minerals. It's like having your own organic fertilizer. The compost helps keep your plants healthy. I maintain my own small compost bin at home and I can tell you that my roses and fruit trees love the compost I add. Plants do seem to grow better when the soil is enriched with compost. Not only that, but it's a great way to recycle, reduce, and reuse to help the environment and our planet for the next generation. Time for a phone call to customer services I think. Oh that's a bummer @Anonymous that the New England Arbors Keyhole Garden & Composter got marked down after you already bought four of them. Hopefully, they can give you the difference. If not, what you can do is just buy another 4 at a local Costco and then return it using the old receipt. Costco is pretty good when it comes to returning items that you're not completely satisfied with, so there shouldn't be an issue with them accepting this return. Ya, I know this can be a hassle, but it's probably worth it if it means you can save yourself an extra $160. I hope it works out and good luck!